This screen capture shows the Walnut Lane Bridge that crosses the Wissahickon Creek and connects Philadelphia's Roxborough and Mount Airy neighborhoods. Commuters who travel through Northwest Philly over the Wissahickon Creek will have one less option until fall rolls around. 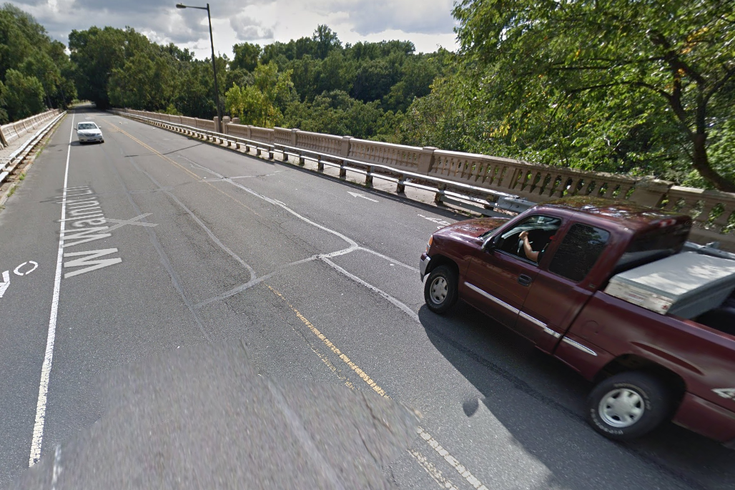 PennDOT announced earlier this month that Walnut Lane Bridge would be closed for five months starting April 1, to replace a deteriorated concrete deck and sidewalks. It is expected to reopen sometime in September. Officials say the work is part of a $14.7 million project to rehabilitate the historic bridge, which was built in 1907. Construction work began in November. Also, part of the plan is reconstructing the roundabout on the Mount Airy side of the bridge to improve safety conditions. During the closure, traffic will be detoured over Wissahickon Avenue, Midvale Avenue, and Henry Avenue. One sidewalk on the bridge will remain open for pedestrians.